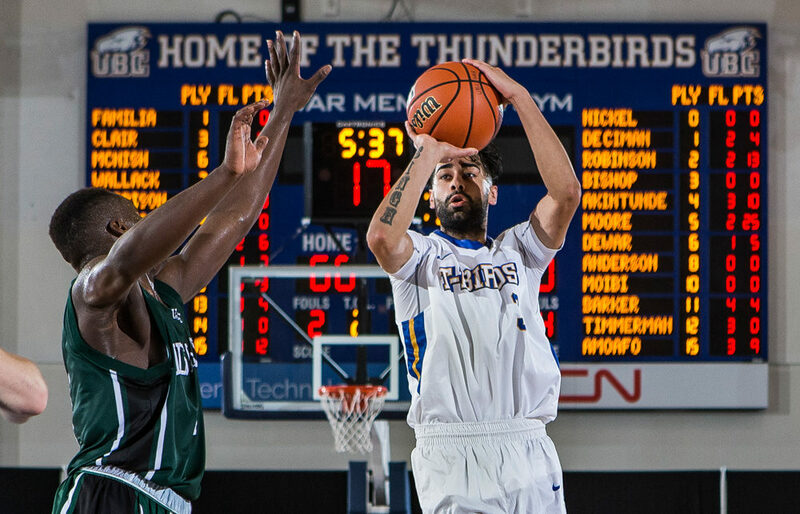 VANCOUVER — Manroop Clair doesn’t care if his reputation precedes him, because let’s face it, the UBC Thunderbirds’ fourth-year transfer guard has always embraced the fact that he is known to all as a shooter’s shooter. Yet as the U Sports’ No. 4-ranked ‘Birds (13-1) take a 12-game Canada West win streak into frigid Brandon this weekend (Friday 11:30 a.m., Saturday 5 p.m., Canada West TV) to meet the Bobcats (2-12), it’s essential to note that UBC didn’t just add a blue-chip three-point marksman this past off-season when Clair returned back home from NCAA Div. 1 Seattle University to finish his university career on the Point Grey campus. Instead, the fourth-year former Burnaby South Rebels star has been all of that and so much more. A finisher in transition whose straight-line speed might be the best on the team. A heady, aggressive attacking force off the dribble who sits tied for the team lead in free throw attempts per game. And last but not least, on a deep and dangerous squad filled with offensive options, its leading scorer at 19 points per game. Yet there’s something refreshing about the fact that he won’t protest if you elect to pigeon-hole him as a shooter with deep range. You can count UBC head coach Kevin Hanson among those who wasn’t counting on getting all of the optional accessories that have come standard with the 2018-19 Manroop model. With all that said, it’s pretty easy to say that after years of searching, Clair has finally found the place where everything he represents as a player can be fully appreciated. That it has come at home, alongside close friend and fellow NCAA Div. 1 transfer Jadon Cohee, has just made it all the more sweet. And the numbers that show that change to a more overall game? By coincidence, in Clair’s most productive NCAA Div. 1 season, 2015-16 at Seattle U, he played in all of the Redhawks’ 14 conference games, the same amount of Canada West games he has played in this season with UBC. Keep in mind that Clair has played 73 more minutes total with UBC this season than three seasons ago at Seattle. That allows us to compare numbers in something of a vacuum, and they illustrate how much more versatile, effective and efficient he has been in blue-and-gold. 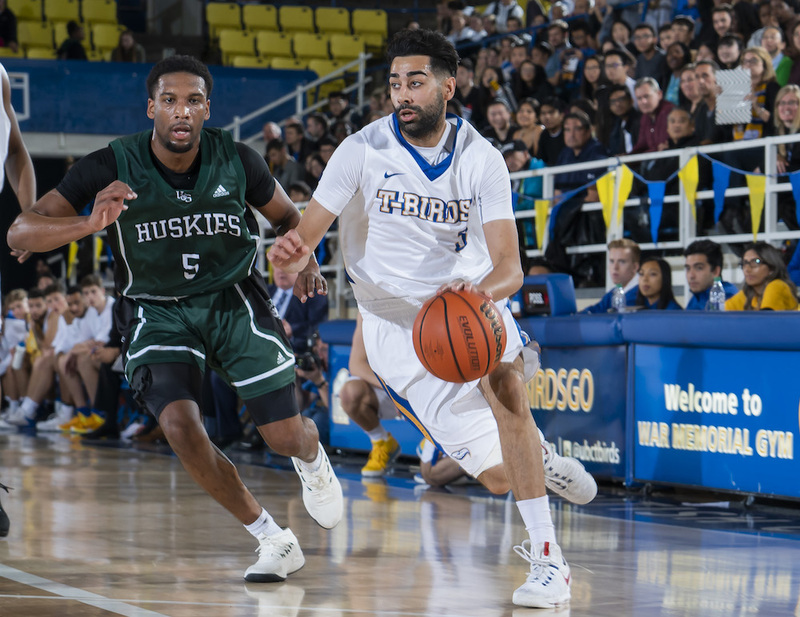 Off the top, Clair’s makes and attempts from beyond the arc this season with UBC (41-of-113, 36.3 per cent) are greater in both volume and success than at Seattle (28-of-84, 35.3 per cent). Yet the real significance lies in this years numbers inside the arc. 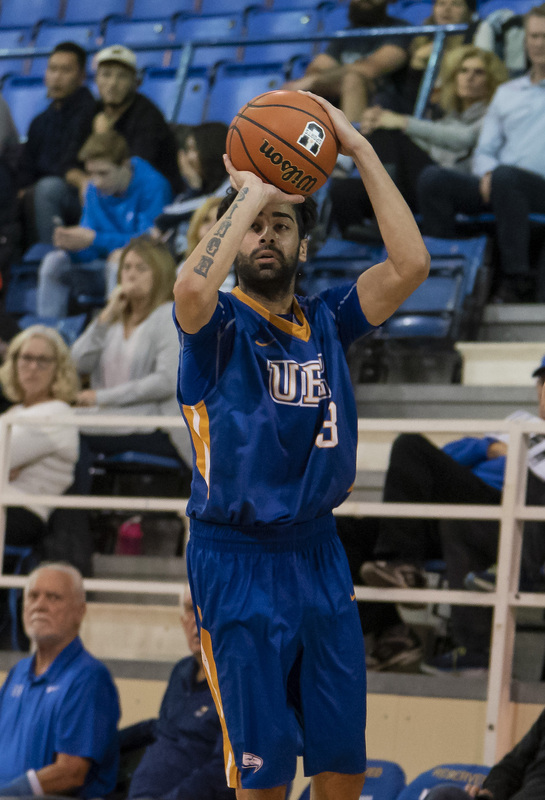 Whereas Clair went just 9-of-19 (47.4 per cent) from inside with the Redhawks, those makes and attempts have been quadrupled and more with UBC this season at 44-of-82 (53.7 per cent). “At Seattle, it was more of a catch-and-shoot three role,” confirms Clair. Those 63 additional field goal attempts from inside the arc are the result of his freedom, and his ability to score the basketball in a number of different ways. Always a great free throw shooter, Clair’s added dimension of dribble-drive attack-minded play has given him 61 free throw trips this season versus just 15 at Seattle. Hanson has two great penetrators with multiple skill-sets already in Cohee and Mason Bourcier, yet adding another more broadly-skilled guard like Clair to the mix brings something a little more unique to the mix, especially if the ‘Birds can break out of their post-season doldrums and make a run outside the conference. Hanson also see the value that both Clair and Cohee have brought as worldly fourth-year players on a very young UBC roster. In fact Hanson adds that some of the most competitive situations the team has been in this season have been practices when Clair and Cohee are handed opposite colour jerseys. “The whole environment changes and we bring out the best in each other,” the coach says. Chalk up another plus for the presence this season of Manroop Clair. He’ll always be known as a three-point shooter, and he’s good with that. Yet just when his team has needed him most, he’s proven himself to be so much more.